Would it help you to know the location and condition of your shipments and assets in real time? Join hundreds of companies around the globe who are leveraging the IoT for asset monitoring and analytics on SAP HANA. In the past, it has been difficult and expensive to follow your shipments on their journey through your supply chain and determine when and where products may have become spoiled. The Internet of Things now makes it possible for companies to track the condition of their products from end to end and improve their operational efficiency. 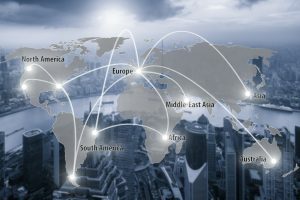 Whether your business is involved in temperature-controlled transportation of pharmaceuticals, vaccines, biotechnology, food, sensitive tropical plants or other commodities, or products that can be damaged in transit by deviations from handling protocols, the real-time visibility, tracking capabilities and condition monitoring of your shipments and assets is invaluable. The SAP HANA platform is priced for small businesses and enables them to increase productivity easily and affordably. SAP Business One powered by HANA ensures that daily tasks – like searching for data, creating dashboards, and producing reports – are done faster, using less computing power. In other words, it gives you crucial information at your fingertips to help you make smarter, faster decisions. Take measures to prevent damage to your products in transit by integrating SenseIT IoT for asset monitoring and analytics on SAP HANA. Get in touch with the knowledgeable consultants at Domain Consulting Group at (610) 374.7644 Extension 7005 to learn more.